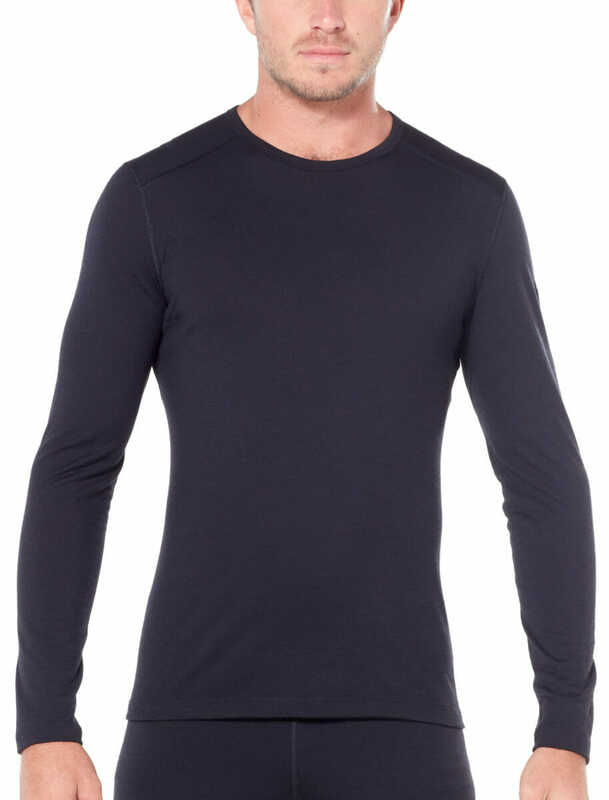 Icebreaker’s Oasis 200 gram base layers are made with 100% Merino wool for effortless everyday layering. The Oasis layers are ideal for year-round use and provide super-soft, next-to-skin comfort, incredible breathability, and natural odor resistance. Icebreaker’s Merino wool base layers are designed for everyday use. Experience the beneficial properties of Merino wool such as the breathability, odor resistance, temperature regulation, and soft comfort. The Oasis base layers can be worn anywhere from the city streets to the mountain slopes. Shop our women’s and kid’s base layers. These shirts features underarm gussets and set-in sleeves for added mobility. The offset shoulder seams and flatlock stitching throughout prevent chafing across the spectrum of daily motion. With seams carefully offset from the peak of your shoulder, you won’t find any irritation from the straps of a heavy pack. The slim fit and gusseted construction provide unrestricted freedom of movement. The brushed elastic waistband and flatlock seams throughout eliminate chafing when you’re on the move.